Additional Title: August 1981, 16th & JFK Blvd. 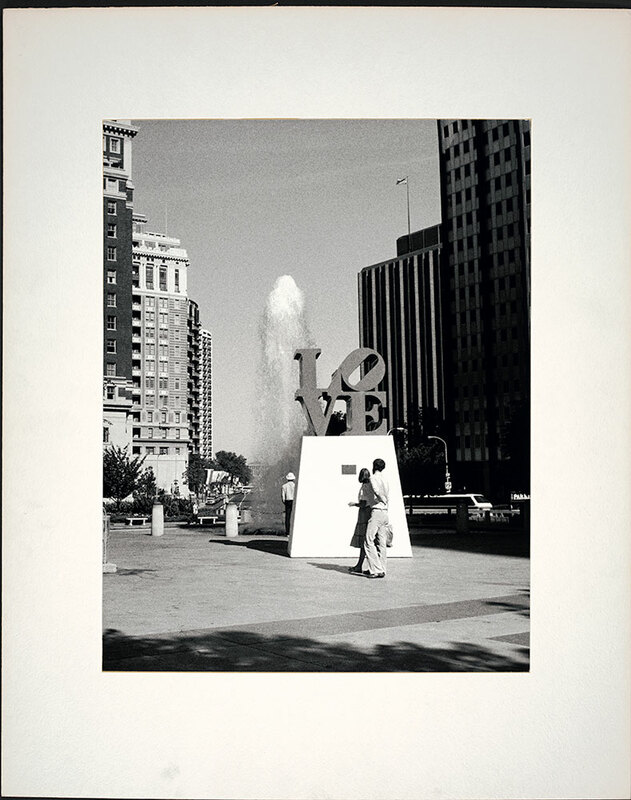 This is an August 1981 photograph of the Love Statue, a reproduction of Robert Indiana's original "Love" sculpture. The sculpture resides in JFK Plaza, which is more commonly known as Love Park.